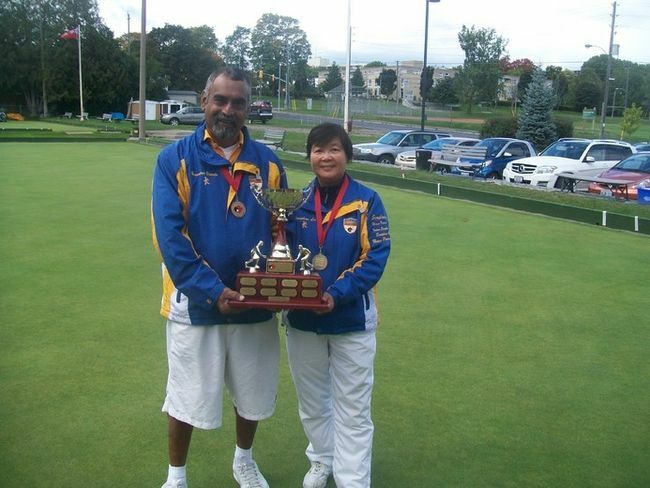 In the last Championship of the season the mixed pairs duo of Josephine Lee and Hirendra Bhartu are off to St. Catharines in search of the 2016 Canadian Mixed Pairs Championships. In another strong showing earlier this summer, it was Lee/Bhartu who claimed back to back Championships winning the Provincial Tournament held at the West Vancouver LBC. This was the 6th time the duo has won the Mixed Pairs title and 7th for Josephine as they will head off to the Glenridge LBC in Ontario to represent BC at the Canadian Mixed Pairs Championship being held Sept 15-20th. There will be some great Teams on hand in Ontario, but with the combined experience of both players it has them ahead of the pack and once again the favourites to win the Gold Medal for British Columbia.